SAN ANTONIO - Looking for something to do this 4th of July? There is no shortage of events taking place all around San Antonio. Here's a look at those events. Independence Day at the Alamo: 9 a.m. to 4 p.m.
Fourth of July Fireworks in the Garden at the Botanical Garden: 5:30 - 9:30 p.m. Bud Light Stars, Stripes & Lights Downtown Riverwalk: Patriotic luminarias have been placed along the River Walk and will be on display from June 29 through July 4. Freedom Fest at Historic Market Square: Free week long event. 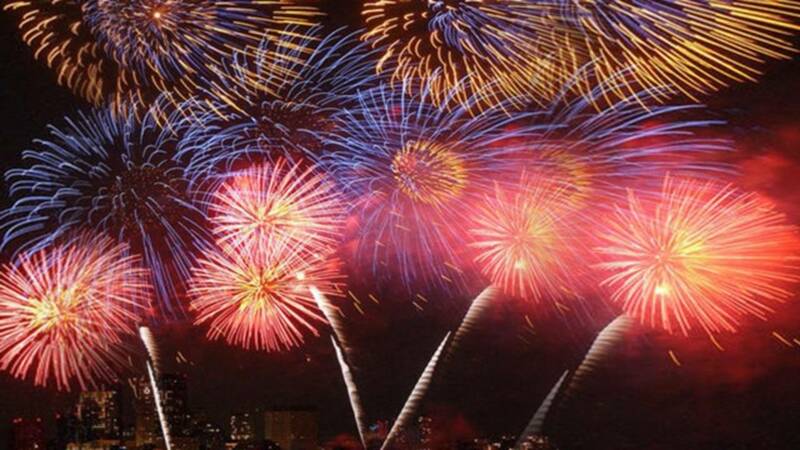 San Antonio's Fourth of July Celebration at Woodlawn Lake Park: 8 a.m to 9:30 p.m.
34th Annual 4th of July Patriotic Ceremony at Fort Sam Houston National Cemetery: 10 to 11 a.m.
July 4th BBQ at the Tower of the Americas: 1 to 7 p.m.
4th of July Jubilee in Schertz at Pickrell Park: 9 a.m. to 10 p.m.
4th of July Spectacular in New Braunfels: 6:30 p.m. free concert, fireworks start at 9:15 p.m. Annual 4th of July Parade in Alamo Heights: 10 a.m.
Red White & Boom in La Vernia: 4 to 10 p.m.
Fireworks in the Park at Kirby Friendship Park: 2 to 10 p.m.
City of Windcrest 4th of July Parade: 10:30 a.m. to 1:30 p.m. The Old Fashioned 4th of July Parade in Castroville: 9 a.m.
Summerfest in San Marcos: 6 to 10 p.m.
Wimberley's 4th of July Parade: 10 a.m. The Biggest Small Town Fourth of July Parade in Texas in Seguin: 10 a.m. Independence Day in Comfort, Texas: Bicycle Parade at 9:30 a.m., Patriotic Parade at 10 a.m., other festivities from 11 a.m. to 6 p.m.